Rixty gift cards are the easiest way to pay online using cash and coins. Known online as the anti-credit card, keep your identity safe and secure. Follow the steps below to redeem and spend your Rixty card online. Once you’re on this page, click Login found in the upper right corner. Enter your Rixty login account information, or use your Facebook account, and Login. 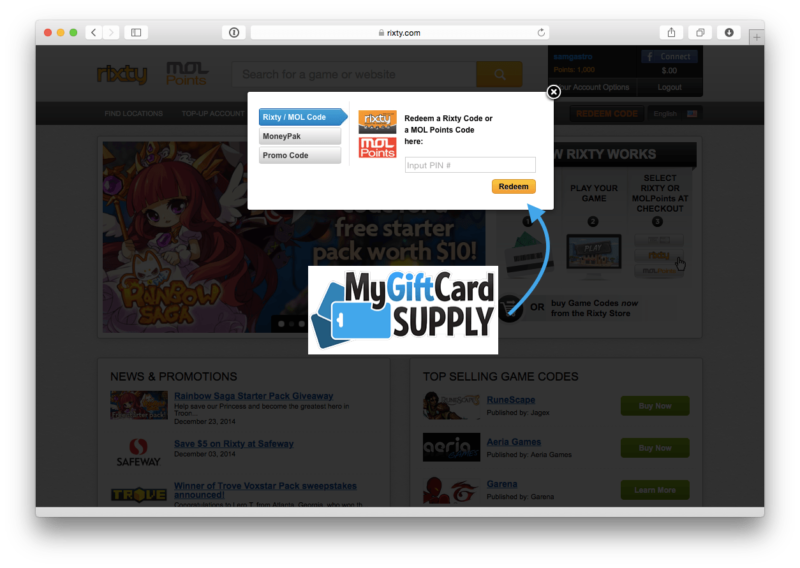 Enter your Rixty gift card code, which was emailed to you from MyGiftCardSupply, and click Redeem. Congrats! You should see the value of your gift card in the next window. 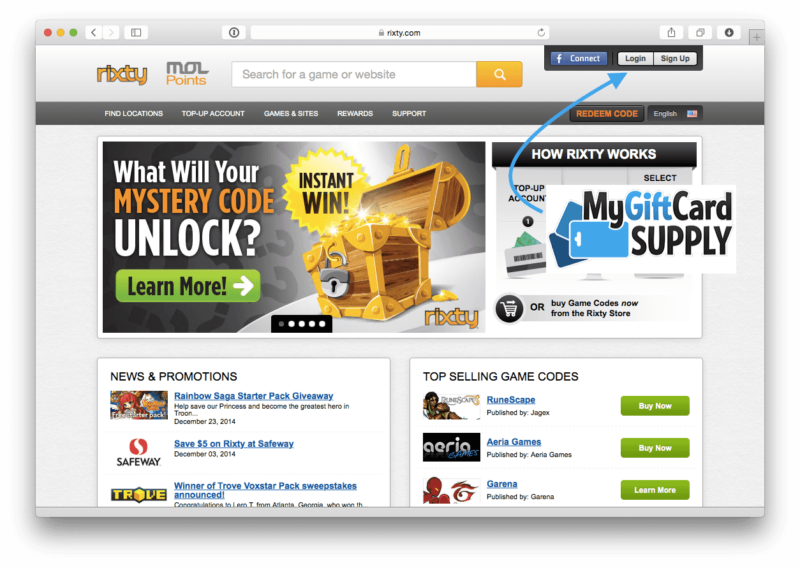 You should now be able to redeem and use your Rixty gift card anywhere online you see that accepts Rixty! If you have any questions on this tutorial, or it needs an update, please submit a ticket to us.